But there was little research on young children and parents sharing e-books, which is "an important gap in literature," Munzer said. "Young children have this growing ability of attention and may be more susceptible to some improvements or distractions" in e-books, Munzer explained. In this study, researchers observed 37 parent-child pairs reading together in the laboratory using three different formats of books – printing, basic e-readers, and improved e-books on tablets. All three books came from Mercer Mayer's Little Critter series and were similar in length and difficulty in reading. Basic e-books allowed you to move pages and tapping illustrations to call up the look of words, but there was no automatic narrative or sound effects. Enhanced e-books contained all the bells and whistles – tapping a dog's photo could cause the dog to bark or move, or turning the page to the beach would make the sound of the crashing ocean wave. 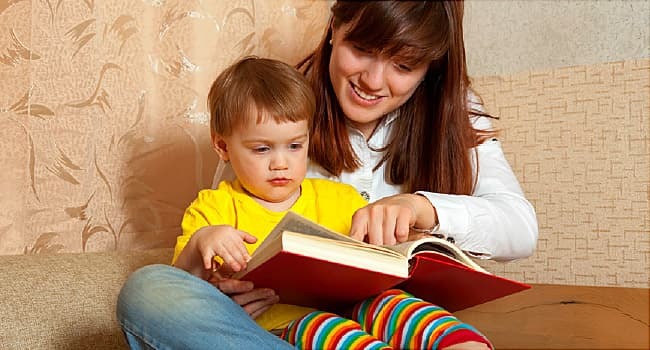 Researchers found that parents sharing a printed book with their child usually spoke more, in subtle types of interactions that can significantly contribute to promoting healthy child development, researchers have discovered. For example, a mom or dad can point a photo of the animal and ask the child what sound it is. They were also more inclined to link this story with the child's personal experiences – "Remember when we went to the beach?" These are the types of things that make reading together a rich experience for young children, and they do not happen that often even with basic e-readers, said Tomopoulos, who wrote the introductory article accompanying the new study. "Parents need to develop what they read in the book, and they should extend it based on the child's interests," said Tomopoulos. "If you're reading about a character going to a zoo, you can say:" Remember that we went to the zoo last weekend? What animals did we see? "This interaction is what favors the early development of the child and the development of language". Tablets and e-readers have become so popular and useful that it is unlikely that parents can completely deprive them of reading time, but both Munzer and Tomopoulos have encouraged moderation in their use. "I would recommend that parents really use a printed book rather than an e-book, and if they use e-books, find a happy medium, for example, do not focus on distracting features and try to verbalize more when reading a book," said Tomopoulos.